Eggstravaganza Egg Hunt This Saturday! Egg hunt, pace painting, candy, the Easter Bunny, and more. Join us Saturday at our Coachella, Indio, and Palm Desert locations. Building Robots, playing sports, and making friends at DRD Spring Break Camps. Sign up for our traditional Spring Break camp, sports Camp, Indoor Soccer Camp, Robotics Camp, and more. Anthony has all the details. Aqu� hay m�s informaci�n sobre nuestros campamentos de Primavera y nuestra celebraci�n de Caza de Huevos llamada Eggstravaganza. College & Career Fair this SATURDAY at DRD North Shore. Free to all ages 14 and up on April 6, 2019. DRD hosts College and Career Fair at North Shore. Great way for planning your teen's future or adults looking for a career change. California Highway Patrol, College of the Desert, CAL FIRE, Milan Institute and others will be there. Sign your child up for the Spring session at The First Tee! What a great sport for kids, plus they learn the nine core values like respect, integrity and more! Prom Dress Giveaway. Two dates left to get a free dress. Fridays, March 22 and March 29 are the last two days until next year for our Prom Dress Giveaway. Anthony shows you how to get one. Operation Splash is back for 2019! Kyle tells you more about it, and we also offer Lifeguard Training Courses. Rachael nos muestra los muchos programas para adultos mayores de East Valley disponibles. The First Tee Registro de Primavera. Mauricio Alvarez de The First Tee te muestra c�mo registrarte para las clases de primavera. Prom Dress Giveaway Begins Tonight! Our Prom Dress Giveaway begins today. 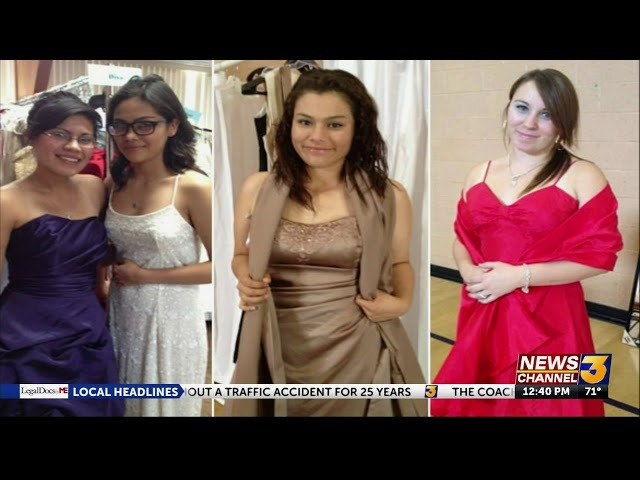 This program offers your high school senior a dress for free - listen as Karina tells you how. Training courses are available for anyone interested but does not have the experience to become a lifeguard - and if you already have experience, be sure to apply! Dr. Steven Lorick talks about the skills children learn as part of The First Tee program, which is partially funded through this annual fundraising tournament. Yoga and Tru Core classes - let's learn more! Listen as Nicole explains what our Vinyasa Yoga and Tru core classes can offer you! The games have begun, and Anthony tells you what sports are coming up AND about the 90 year old athlete who is competing! 2019 Palm Desert Senior Games & ISF begins next week! What can you expect to see at the The 19th Annual Palm Desert Senior Games and International Sports Festival? Anthony Alvarez gives us a look. Listen as Sam explains how the community-wide garage sales and clean up events will work. Yoga, Barre and REFIT Fitness are all options at DRD! If you made a New Year's Resolution to get or stay in shape, we have many options for you here at Desert Recreation District. Thousand Palms has a lot going on! Listen as Sam discusses a community event and our Youth Baseball League! Get an assessment and learn what may help you improve your game! Dr. Steven Lorick explains what you can expect at the Golf Performance Center. Register for the Palm Desert Senior Games Monday! Registration opens on Monday, October 1st, 2018 for the 19th Annual Palm Desert Senior Games and International Sports Festival. DRD offers Winter Camps during School Break! We have plenty of options for kids to stay busy and active during the winter break from school. Santa's Hotline will be Open Dec 11, 12 and 13, 5 - 9 p.m.! Kids, get ready to call the North Pole and speak to Santa, Mrs. Claus, the elves, Rudolph and more! Play some Golf AND help support The First Tee! Participating in our annual Golf Invitational is just one of the ways you can help support The First Tee of the Coachella Valley. Register Now for FALL CAMP! Fall Camp begins soon in Indio and Palm Desert. Here's why you need to sign your child up before it's too late. Kids who have never tried golfing can come learn more about the program and see if it's something they'd like to do. And, they learn the nine core values as well as golf! 2018 Holiday Food & Gift Drive has begun! If you would like to donate items, please stop by one of our local community centers or our administrative office in Indio. More Halloween fun headed your way! During this final week of October, DRD has several more Halloween Events coming up in various locations of the Coachella Valley. This pre-permit workshop for teens 14 - 16 years old teaches safety and more - you must sign up by October 31 for this great free class. Acomp��enos Para la GRAN INAUGURACI�N PARA EL PARQUE DE NORTH SHORE! 12 de Octubre, 6 - 8 p.m. The North Shore Community Park Grand Opening is almost here! Join us Friday night, October 12 from 6 - 8 p.m. in North Shore as we celebrate the grand opening of this great new park! Halloween Fun is just around the Corner at DRD! Listen as Sam talks about some of the fun that will be happening in Thousand Palms and Indio Hills! Inicia un programa de Golf a bajo costo para ninos y jovenes con edades entre los 4 a los 17 anos. Kids learn nine core values AND golf through this great program - get your kids signed up today! Programs start for kids at 4 years old and over. Calling all Princesses (and Princes)! Come have a grand time at our Moana themed Princess Party - and you can dress up as any princess you like to play with other princesses! From Project L.E.A.D. to Traditional After School and more, we have a variety of programs and locations to meet your after school needs. Open swim is open through Labor Day weekend! We also have several Aquatics classes that go on in the Fall. The District is Hiring! If you love recreation, apply with us. We have several positions available including part time and full time, and we are accepting applications NOW. OPPORTUNITY KNOCKS FOR KIDS OF THE FIRST TEE C.V. Participating in The First Tee of the Coachella Valley's programs offers opportunities to kids. Get your swing analyzed as part of a movement assessment that may improve your golf game! Get teenagers off the gadgets and into our free Teen Social Night in Coachella (Friday, 8/3). Fun begins at 6:30pm. If you have gently used or new sports equipment or school supplies, please donate to the Indio Hills After School Program kids! Kids will learn to check the ABCs of their bikes -air pressure, brakes and chain - and have fun while learning safety in cycling. Dive-In Movies in La Quinta! Cool off in the pool AND enjoy a free movie! Listen as Adam gives the details - and you can get popcorn for only a dollar! We have more than traditional swim classes - we also have fitness, competitive swimming, and lifeguard courses, too! Register your kids now for the Fall Youth Soccer League in Thousand Palms! Creative Camps -Model airplanes, Mad Scientist and more! We will have special Creative Camp days or weeks coming up - Future Mad Scientists, Astro Camp, Introduction to Robotics and more! Listen as Anthony gives more information on these great programs. Find out what our Summer Camp program is all about and how to enroll your child. Summer Camps at The First Tee start soon! Kids 7 - 17 years old can join the weekly summer camps at The First Tee - no experience necessary to come join the fun and learn the 9 core values through the game of golf! Water Fun Days are almost here! 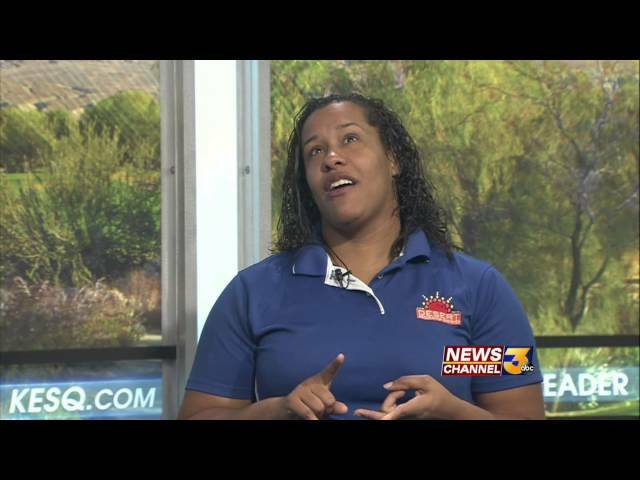 We will be hosting Water Fun Days on June 1 in Thousand Palms, and June 13 in Indio Hills - listen as Sam tells you more! We help youth prepare for their futures by teaching leadership skills and how to give back to their communities. We have adult swim lessons and aquatic fitness classes as well as fun for kids in our pools! Kids 3 - 9 years old who love Star Wars can come dressed as their favorite character and mingle with other characters, play themed games, and complete their Jedi training and earn a badge! Ages 3 - 9. Lifeguard Courses and Operation Splash Scholarships! There's still time to register for lifeguard training courses; we are also still accepting applications for Operation Splash (free children's swim lessons). If you have a party to host, we have options for you! Gymnastics parties, pool parties, or traditional parties in the park or community center - we have tons of options for you! There's plenty to do in Indio Hills and Thousand Palms! 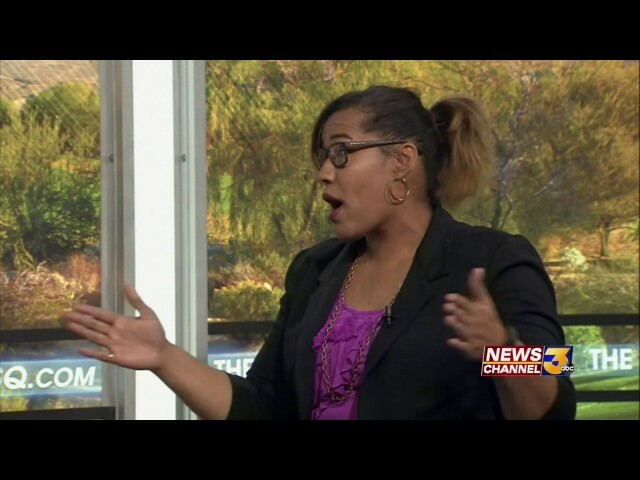 Listen as Sam talks about all the upcoming events in Indio Hills and Thousand Palms! Hurry - just a few spots left in the 2018 Golf Invitational! We have room for just a few more foursomes in this great day of golf that benefits kids in The First Tee of the Coachella Valley programs! DRD's Eggstravaganza Easter-egg hunts are Saturday, March 31! Listen as Courtney tells you about all the fun and games, and where they will be happening on Saturday, March 31! Spring break for kids is here - and we have plenty to keep them busy! From day camps with arts & crafts, field trips and games to our sport camps, we have several offerings to keep your kids energized and entertained. Children learn the nine core values through the game of golf in this great program, and it starts for kids as young as four years old. The 2018 Invitational Golf Tournament benefits kids of The First Tee! Thank you for our Presenting Sponsor, Loma Linda University Children's Hospital - Indio as well as all of our sponsors, and come play on Friday, April 20 to help benefit the kids of The First Tee of the Coachella Valley! Desert Recreation District is Hiring! We have several positions available, especially for those who enjoy working with children. Prom Dress Giveaways in March! DRD and Desert Best Friend's Closet have teamed up once again to bring prom dresses to Coachella Valley Senior High School students who may need a prom dress! 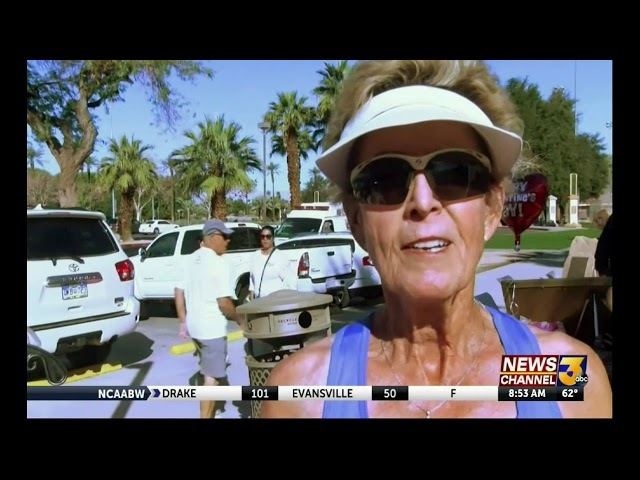 KESQ (ABC) features pickleball while covering the 2018 Palm Desert Sr. Games, as well as upcoming pickleball event this fall. 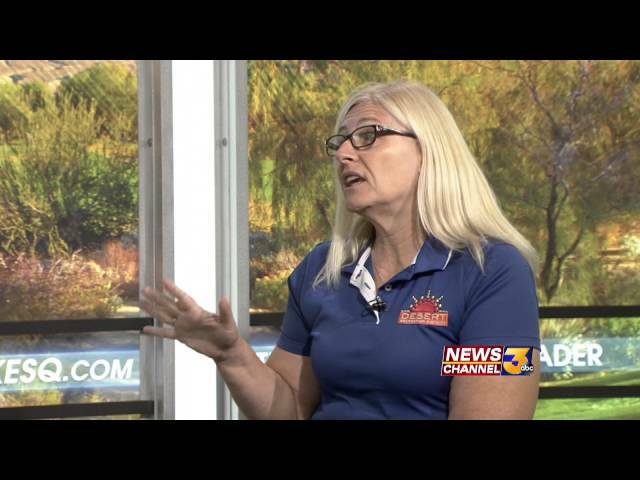 KMIR (NBC) highlights seniors soccer as part of the 18th annual Palm Desert Senior Games & ISF! 18th annual Palm Desert Sr. Games & ISF have begun! Help us welcome the athletes on Feb 9 at 9 a.m. and then cheer them on at any one of several events this weekend - maybe get inspired to sign up for next year, too! Kids from 4 to 17 years old learn the ABC's of bicycles - air, brakes, and chain - as well as riding an obstacle course to test what they've learned! Adaptive Sports & Recreation are available right here in the Coachella Valley! Between the DisAbility Sports Festival on January 27 to the wide array of classes for both children and adults, we want everyone to have access to recreation. Join us in a martial arts or health & fitness class to jump-start your fitness routine in 2018! Join this fun day of dribbling, shooting hoops and other skills on Saturday, January 13 in Indio! There's still time to sign your child up - Dustin explains what children learn in addition to the game of golf. Palm Desert Co-ed Softball starting in January! A great way to keep fit and have fun- adult slow-pitch softball starts in January. Our Winter Camps begin next week, so get your kids signed up today! Listen as Thaddis talks about the activities (and field trips!) the kids can do while at our day camps. DRD receives a $3 million dollar grant thanks to the Urban Greening Grant Program from the California Natural Resources Agency. DRD recibe una subvencion de $ 3 millones de dolares gracias al Programa estatal de Greening Grant. Santa's Hotline opens Dec 12! Kids, get ready to call Santa, Mrs. Claus, the elves and others at the North Pole! Bicycle Safety Rodeo for Kids! Kids learn safety of the bike itself, safety in riding, and get to have fun riding an obstacle course, too! Fall Camp offers fun for kids out of school next week! Both our Indio and Palm Desert locations will have plenty of fun and games while Mom or Dad have to work on Nov 20, 21, and 22nd so sign up today! Winter Youth Basketball Registration is on now - save $20! Parents can register their child now for our Winter Youth Basketball league and save $20 with our early-bird registration. Kids of all skill levels can take part in this fun league! The First Tee of the C.V. hosts PD Chamber Mixer - join us! Join us on Nov 15th from 5 - 7 p.m. as The First Tee of the Coachella Valley hosts the Palm Desert Chamber Mixer. We have all kinds of fun happening to celebrate the Fall season and Halloween - listen as Courtney tells us what will be going on! First Tee of the C.V. - Fall sessions has begun! It's not too late, though, to get your kids enrolled in the Fall session - do it TODAY! Calling all Super Heroes to join the fun in Indio! Super Heroes 3 - 9 years old can come meet other Super Heroes, play games and race in our obstacle course; enjoy snacks, too! Friday, Oct 13 4 - 5:30 p.m. The North Shore Park Groundbreaking happens tomorrow! Join us on Oct 6, 2017, 6 - 8 p.m. as we break ground on the first-ever community park in North Shore! Mecca - Movies and Youth Soccer are Happening! The Mecca Youth Soccer League recently started so kids can still come join! And October brings 4 FREE movies at the Park! Celebrating our upgraded Thousand Palms Community Center - and a Bicycle Safety Rodeo! Come see our newly updated Thousand Palms Community Center at our celebration tomorrow night (and if you can't make it Sept 22, come by another time!). Little girls can dance and play with other princesses during this magical afternoon event! Kids learn bicycle safety skills at our Indio Bike Rodeo! We will be holding several bicycle safety rodeos this Fall, where kids 4 - 17 years old can learn or test their bike riding skills! Patriot Weekend - participate and help kids mountain bike! 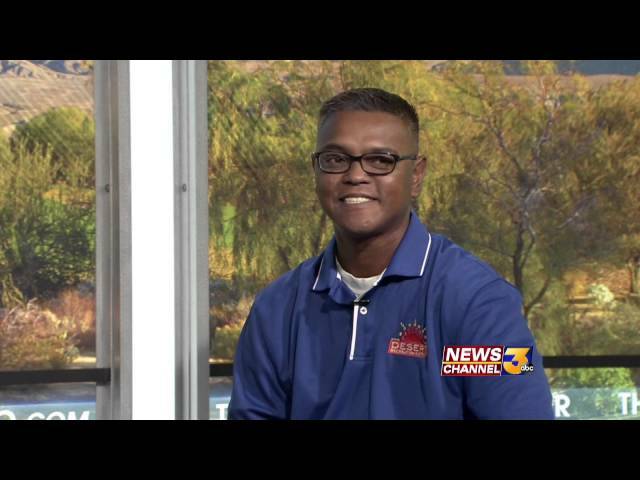 Listen to Anthony explain how you can help kids in the Coachella Valley get the experience of mountain biking when you participate in the the Patriot Weekend. Two Coachella Valley teens, who are both seniors in high school, are headed to Pebble Beach in September to play in the PURE Challenge. Have your team join DRD's co-ed adult softball league in Indio! Our adult co-ed softball league in Indio will begin play next month - listen as Taylor explains how and where to get your team signed up! This great preschool is in a convenient central-valley location and offers both full and half-day programs. We offer beginning and advanced volleyball in Indio (and it's indoors, too!). If you love working with people, and you enjoy recreation and sports, the perfect career might be with us - check us out! Summer Art Scene for kids and teens! No experience needed for kids and teens to learn to paint in our Summer Art Scene program. No golf experience necessary - just a desire to volunteer so contact us today if you are interested! Get Your Kicks with DRD Soccer! We have British Soccer Camp outdoors, and indoor soccer clinics all starting in the next two weeks! Get Hooked on Swimming Competitive Swim classes! This is a great starter program for children who are interested in learning what it means to be part of a swim team! Eye on the Desert - DRD offers summertime fun! Summer camps, summer movies, summer swimming all add up to summer fun! 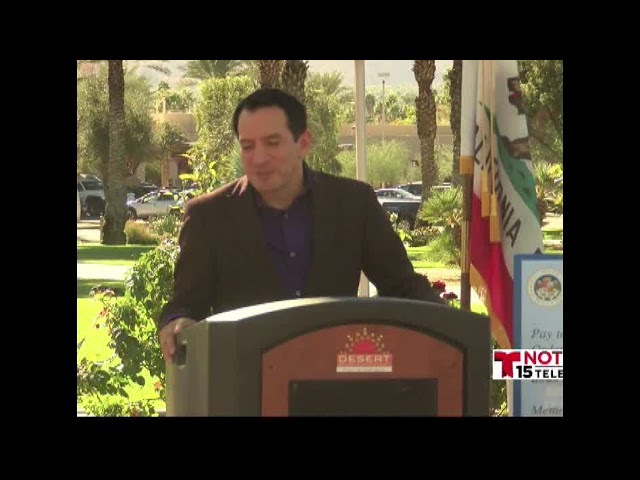 Supervisor V. Manuel Perez stated "Riverside County is very fortunate to receive this large grant award to support our efforts with Desert Recreation District to create parks in the communities of North Shore, Oasis and Thermal." Summer Camp in Coachella is going on now! Learn to make a comic book, play group games, arts & crafts and more! The First Tee has summer programming that helps avoid the midday heat! Our classes offer some outdoor and then some indoor class time to help kids continue to learn AND stay safe from the midday sun. More than Swim Lessons available at our Pools! Jr. water polo and lifeguard programs, water aerobics or just relax in our pools! From sports camps to day camps, arts & crafts and group games, we have all kinds of fun for kids happening at DRD! Thanks for the grant from the Berger Foundation, The First Tee of the Coachella Valley is able to spread the 9 core values, through the game of golf, to more kids! The First Tee has Summer Camps as well! In addition to our more traditional summer day camps, our First Tee Coachella Valley has summer camps, too. Kids our both indoors and outdoors during these morning sessions. 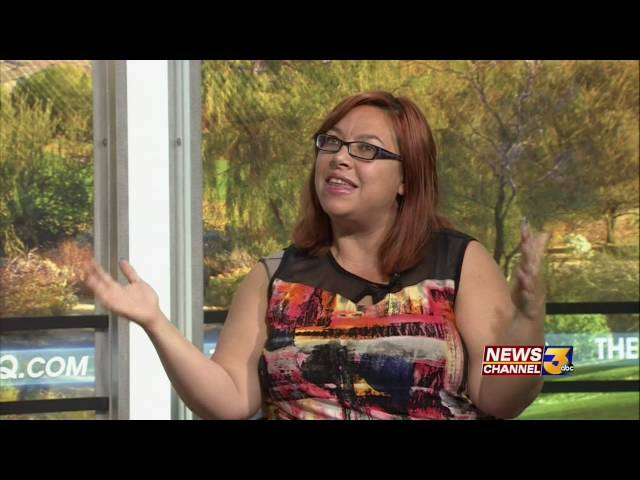 Listen as Cintia talks about some of the great summer programs that will be happening in Coachella! We will be hosting FREE water safety classes in May and June as the summer pool season begins. DRD brings fun the whole family can enjoy together! From Movies in the Park to Family Fun Nights at the pools later this summer, we offer some fun the whole family can enjoy together! Youth Sports Program teaches more than sports! Middle-school kids from all around the Coachella Valley can learn sportsmanship, respect, and more while improving their physical skills! May the 4th Be With You - Kids Star Wars Party! Kids can dress up as their favorite Star Wars character and come join the party in Indio! Swim season is almost here - sign up now for lessons! We have Lifeguard & Jr. Lifeguard courses, Jr. Water Polo, aquatic fitness classes, swim lessons and some plain old "relax in the pool" open swim time, too! Hurry and sign your child up for our Summer Youth Basketball League - there is an early-bird discount for early registration! Our Eggstravaganza Easter-egg hunts and spring camps are all coming up this next week, so join the fun with us! It's that time again - Operation Splash is back! Applications for scholarships for free children's swim lessons for those who qualify will be accepted April 1 - May 31, 2017. Thank you to our partner in this fantastic event, Kaiser Permanente! 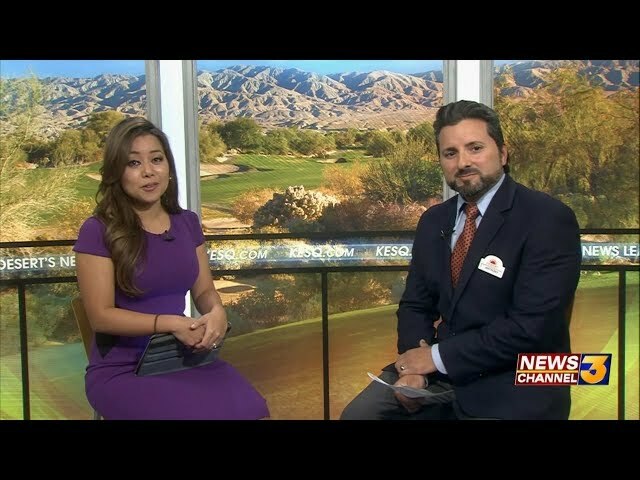 The First Tee of the Coachella Valley has a lot going on! The 7th Annual First Tee Golf Tournament is April 21, 2017 so come support our kid's programming and enjoy the milder weather! And Spring 2017 kid's programming is just starting so it's not too late to sign your child up. DRD may have just the job you are looking for! We have full and part-time positions, both indoors and outdoors, so check us out! Dance, Fitness, De-stressing - all classes DRD offers! We have classes for kids, adults, and seniors for a variety of interests including dance, fitness, or healthy lifestyles and more! If you are a high school senior in need of a prom dress, we may have just what you are looking for! Contact us today. Sign your child up for Spring 2017 classes at The First Tee C.V. Registration for the spring session starts week after next, so mark your calendars and get your child signed up! 5th Annual DisAbility Sports Festival coming soon! The 5th annual DisAbility Sports Festival will be held in Palm Desert on February 25th - athletes with all types of special needs are welcome! Tots through Seniors love to play GOLF! From our Free Wednesday night golf clinic for kids to our Sr. Games 9-hole golf for those 50+, we have something for everyone who loves golf! With the great success of our Ready, Set, Swim Coachella Valley program, we have expanded to include even younger children. Come join our Gymnastics program 10th Anniversary Celebration! The District Gymnastics Academy is thrilled to be celebrating 10 years! Come watch gymnasts compete, or get a professional photograph taken of your gymnast. Fundraiser following celebration, too! There are several different ways to work out in Palm Desert! We have a variety of fitness classes that make working out fun, all while giving your body the exercise it needs! Palm Desert Sr. Games & International Sports Festival coming soon! The games begin February 9, but there's still time to register - track & field, golf, swimming and more! The First Tee C.V. has a lot going on - check it out! Winter session classes start on Monday, January 9, and there's a family fun night with tournament, BBQ and more this Saturday, January 7! Working out has never been more fun! We offer a variety of ways to get in shape and stay active no matter if you prefer a class, individual weight-training, or playing sports! Kids can play games, do arts & crafts and interact with other kids while on break from school at our Winter Camps. Santa's Hotline is Opening Soon! This class has those from ages 7 to 100+ dancing and singing their way to fun and helps some reconnect with memories lost. Movie Night & Fall Camps coming up! Bring the whole family to see Finding Dory on Friday night; and next week we have Fall Camp on Monday, Tuesday, and Wednesday leading up to Thanksgiving. Winter Youth Basketball League - register now! Kids from 5 to 14 will be divided into age divisions for this 6-week league. Sign up by November 15th and get a 20% discount. Come dressed up as your favorite character at one of our Halloween Carnivals or Spooktaculars near you! Adaptive/Therapeutic sports are available all over the valley! We are thrilled to partner with several organizations to offer adaptive sports and recreation to those with special needs. Kids can be Super Heroes at this party! Kids can play with other super heroes while saving the day at our Indio Super Hero Party! Fall enrollment for The First Tee is still open - sign up today! Kids learn nine core character values as well as the game of golf in this fabulous program. If you love working with people AND love recreation, we may have just the job for you! Sr. Games 2017 registration opens October 1st! Sign up starting Saturday, October 1st, 2016 for next February's games! Indio Princess Party offers a royal good time for all! Join the fun while dressed in your best princess costume. Get your kids involved in golf and learning important life skills at the same time. Pop-up at Your Park in Coachella on Sept 3! DRD and Assembly Member Eduardo Garcia have partnered to bring you a Pop-up at Your Park! event on Sept 3. A variety of Adaptive Sports & Recreation classes are available through DRD! Check our website calendar for upcoming basketball, health & fitness, and even drum classes for individuals with disabilities. A new soccer league and the return of after school programs are happening now! We have a new soccer league forming so contact us today to sign up; our after school programs also start back up soon! Bright Beginning Preschool - where the Fun is On! We offer half and full-day programs in this convenient mid-valley location. We will be celebrating the Olympics Friday, August 5 through Saturday, August 20. There will be competitions and contests daily during classes, as well as having flags from a variety of countries displayed. Coachella Summer Camp Program and More! There are still several weeks left for summer camp so sign up today! Sign your child up today for The First Tee program! New Player class for new participants in The First Tee program starts soon! Girls Indoor Volleyball is a great way to stay fit while inside! We offer clinics for girls of various ages to learn and practice their volleyball skills! Every Thursday in July is movie night in Mecca! We also have new programs including Chess and Digital Arts! Pump Track Demo coming to Palm Desert! Bring your skateboard, bicycle, or scooter join the fun! Tot Programs offer summer fun! Our Little Explorers program includes art, science, and more! COME SPLASH & SWIM IN OUR POOLS! Operation Splash Kick-off was a hit, and swim lesson scholarships are still available! Listen to how you can apply. Summer Camp is coming your way! Summer Camps in Indio, Palm Desert, and Coachella start soon - enroll now! Evening Workshops at The First Tee C.V.
Enroll your child in The First Tee of the Coachella Valley today as summer camps & evening workshops start soon! Summer is just weeks away, so why not start getting in shape now? The First Tee offers Summer Camps and More! For youngsters through teens, we offer camps and more during the summer. OPERATION SPLASH 2016 IS HERE! Apply for free swim lessons for kids thanks to Kaiser Permanente and DRD! We will be showing movies all summer long - check out our website calendar what title will be showing next! What a great way for your toddler to spend their days. We have co-ed, men's competitive and recreational leagues - join the fun! Kids can come look for eggs during our Eggstravaganzas, or they can come be active at one of our Spring camps! If you are a high school junior or senior and need a prom dress, we can help! Dustin Smith explains what The First Tee is about and reminds everyone registration time is almost here! Tim Skogen talks about this great fundraising golf invitational and its importance in helping our local youth. The 2016 Palm Desert Senior Games was a hit! Come on down to one of our Senior Centers and get in on the fun! Hear about our Men's and Junior Basketball Leagues from Chris Baluga. Learn more about the 16th Annual Palm Desert Sr. Games & ISF. See some of the sports played at the 4th Annual DisAbility Festival Coachella Valley! Dustin Smith explains our First Tee program and how to enroll! For kids who love basketball, this is the activity for you! Enjoy a great view while you workout - the Salton Sea! Keep your kids active with arts & crafts, cooking and more during the school break this winter! Kids can call Santa, Mrs. Claus, the elves and more on 1-877-SANTA-4-KIDS. Or, enroll in a sports camp during winter break from school. Our First Tee program teaches more than golf. - it teaches important life skills, too. 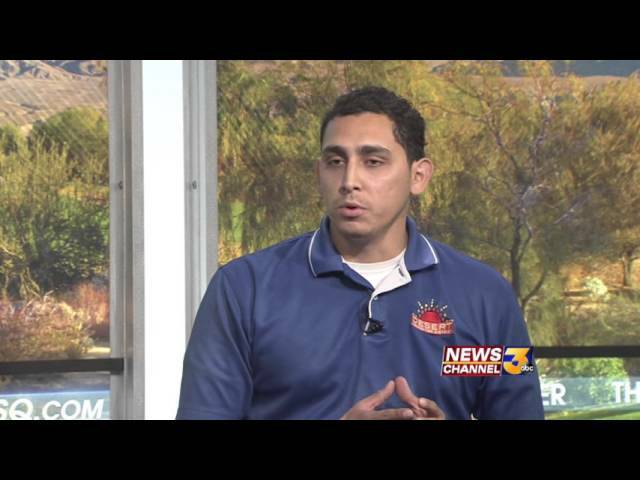 Learn more as KESQ Sports Anchor Blake Arthur explains.